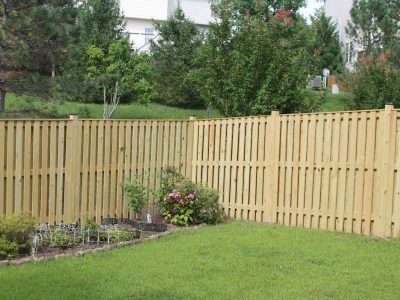 What makes Loudoun Deck and Fence unique? 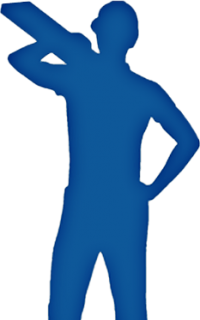 Quality and transparency are the key components of our company’s foundation. Using the best building practices helps us to install high quality products. These practices have been developed over the past 20 years and are proven to be extremely successful. The following are some of our building practices. We follow these practices on every fence we build. 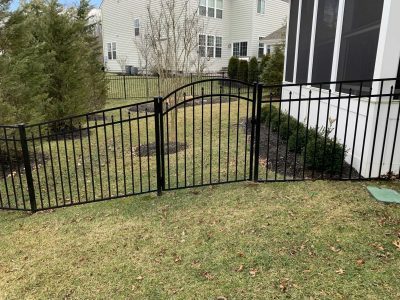 The stability of the fence is dependent on post placement. 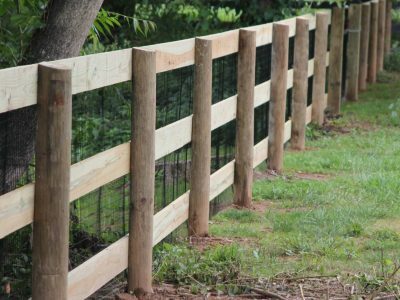 On wood fencing our post spacing is 8 feet. On aluminum fencing it’s 6 feet. Each post is set in dry pack sakrete in order to stabilize the fence. The depth of the holes for each post is determined by the height of the fence. For instance, on a 6 foot fence the depth of the holes is 27-36″. On a 4 foot fence, the depth of the holes is 20-24″. Here at LDFCo, we follow these standards. Here at LDFCo, we use the best materials available. We use quality pressure treated wood through Madison Wood Preservers. Our aluminum brand is iDeal Aluminum. Each of these materials adds to the overall quality of our projects. To learn more about each of these materials, check out the ‘FAQs’ tab at the top of the page. Would you like to learn more? Check out our blog.